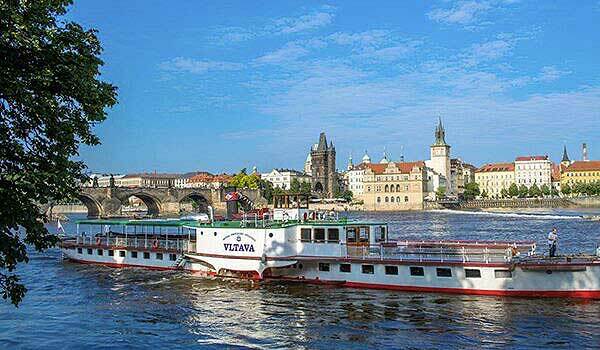 The Šárka, just like her sisters the Vlasta, Libuše and Bivoj, is a small boat with a capacity of maximum 10 people. 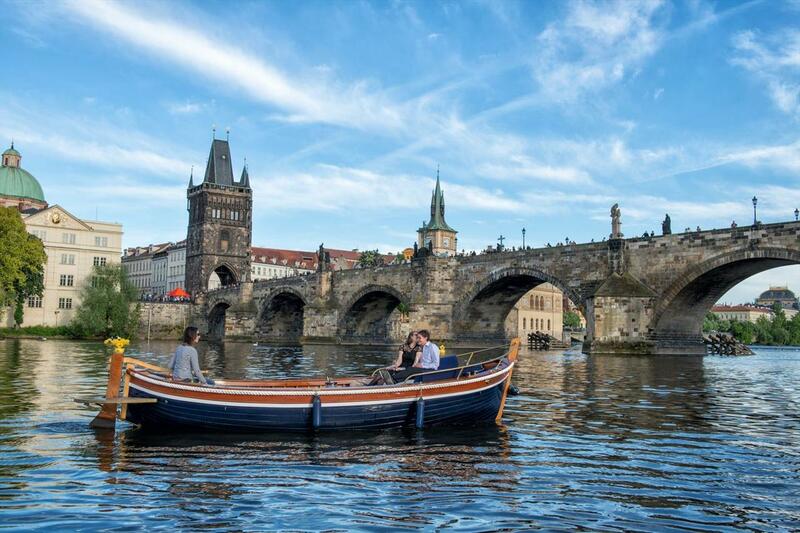 It was made to order from mahogany directly from an Italian master. 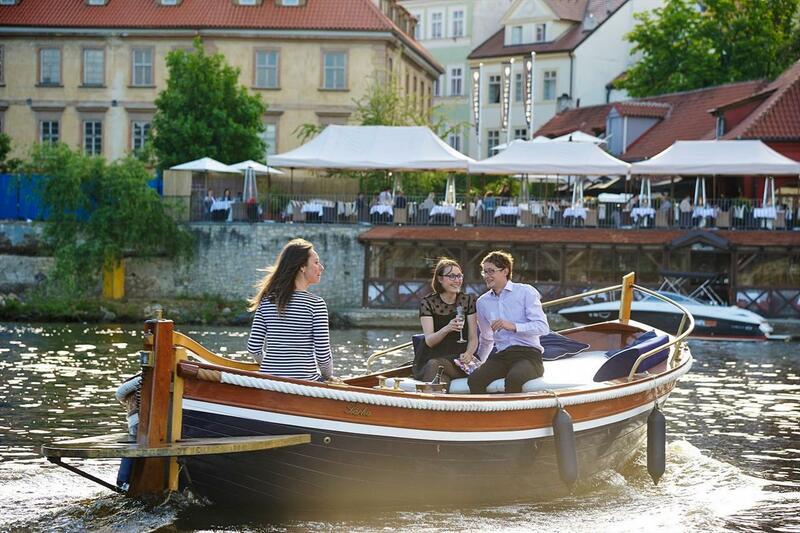 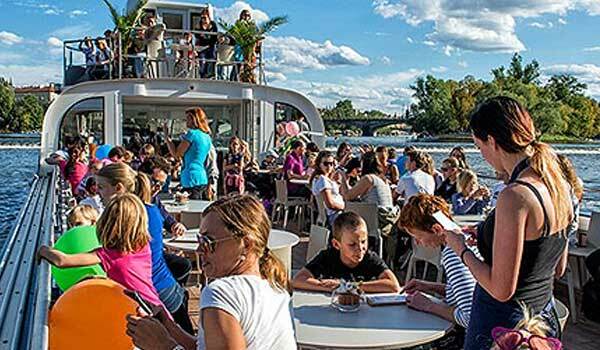 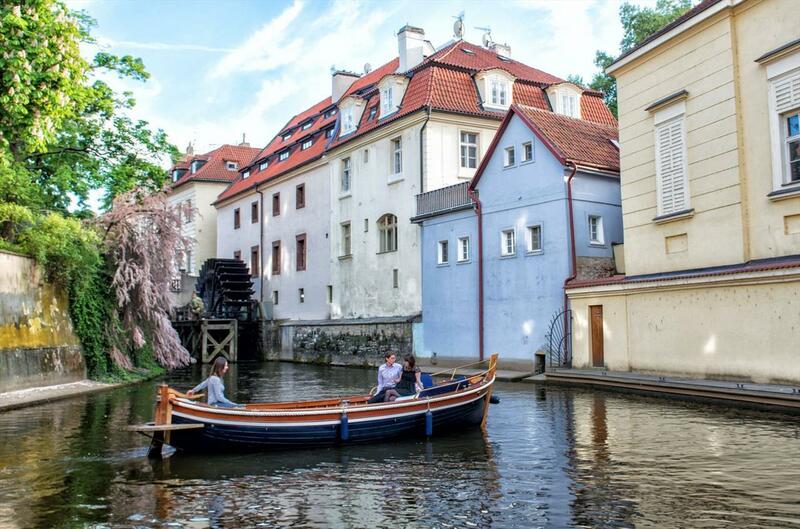 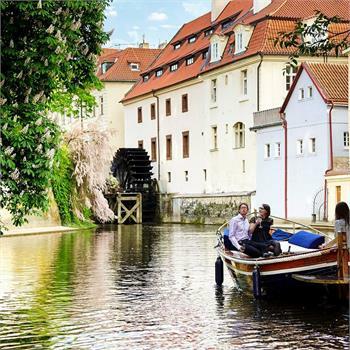 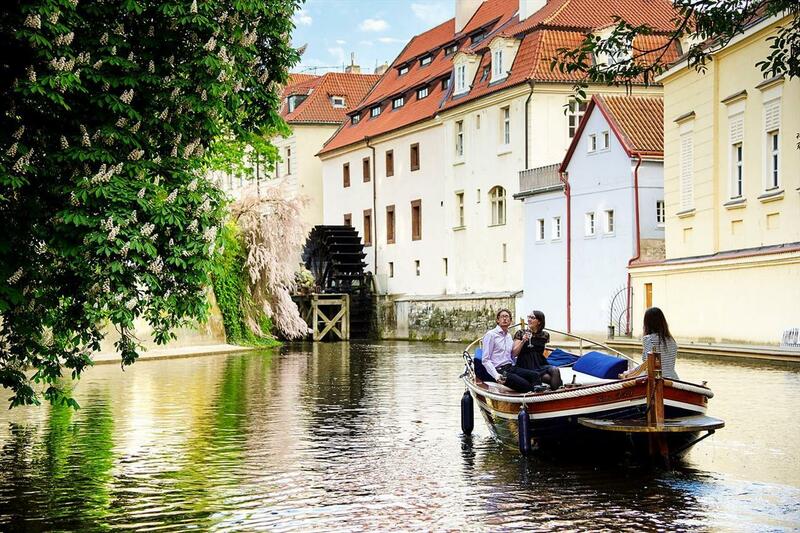 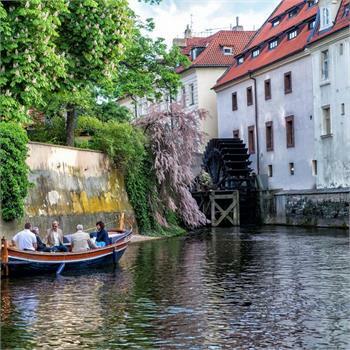 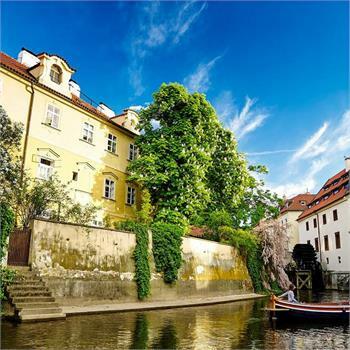 Its unmistakable charm thus characterises the unforgettable atmosphere of a cruise through Kampa and the Devil's Channel, for which it is specifically designed. 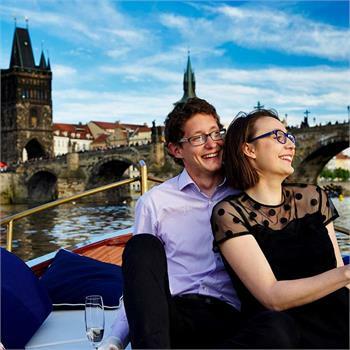 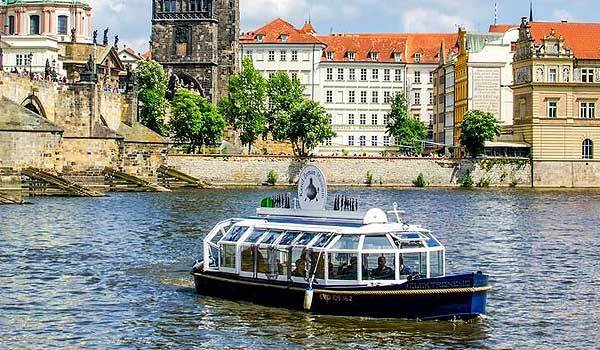 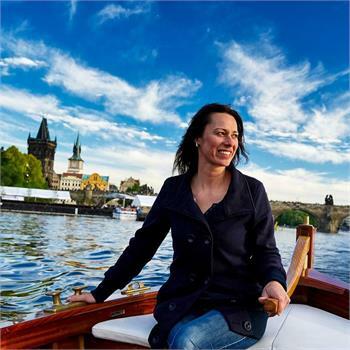 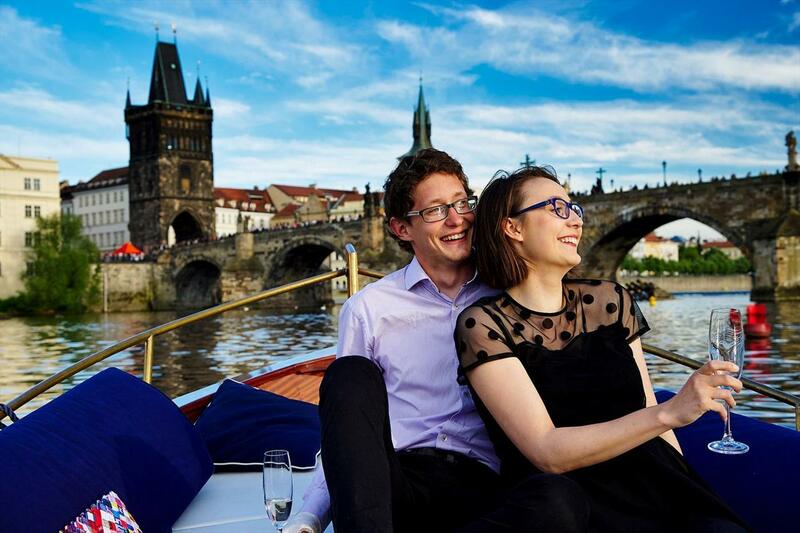 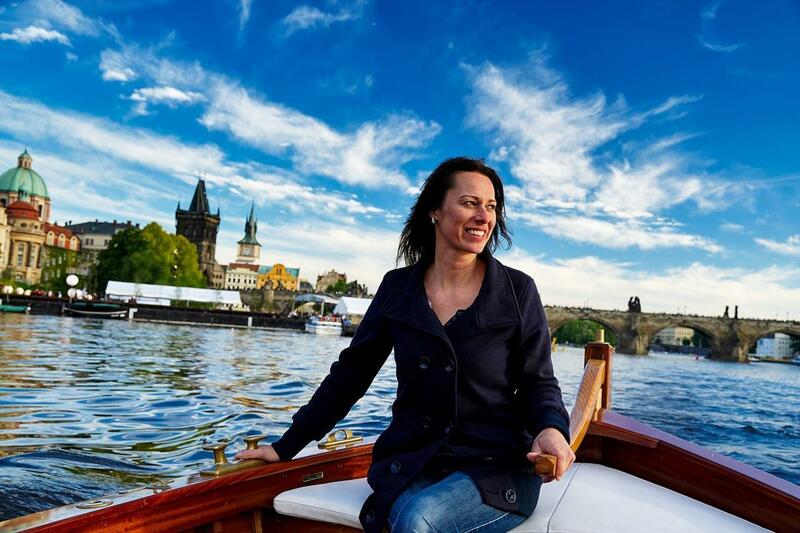 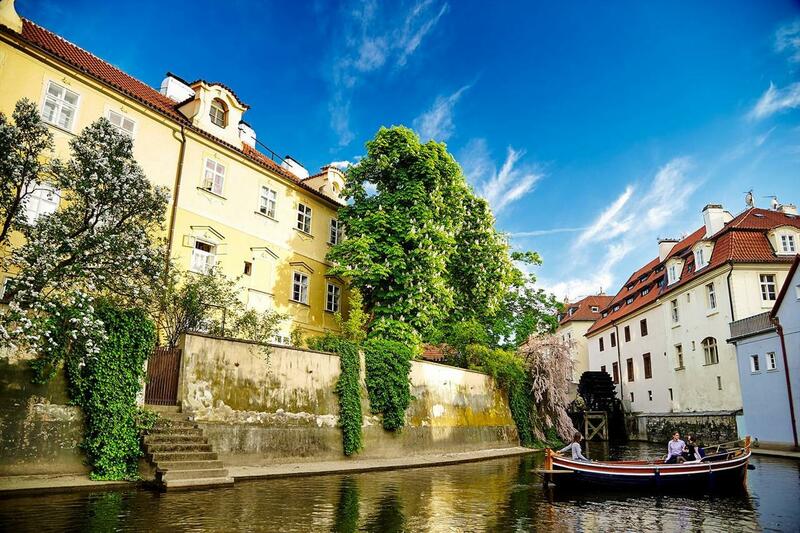 When cruising on these boats you can get a close-up view from the perspective of the water surface of picturesque Kampa, the romantic Devil's Channel and the Grand Priory Mill or the jewel that is the Charles Bridge. 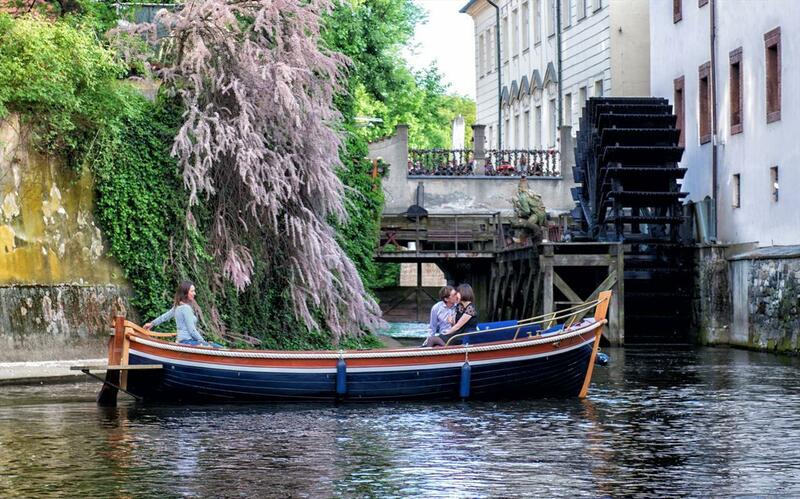 The boats cruise depending on the season and the current weather. 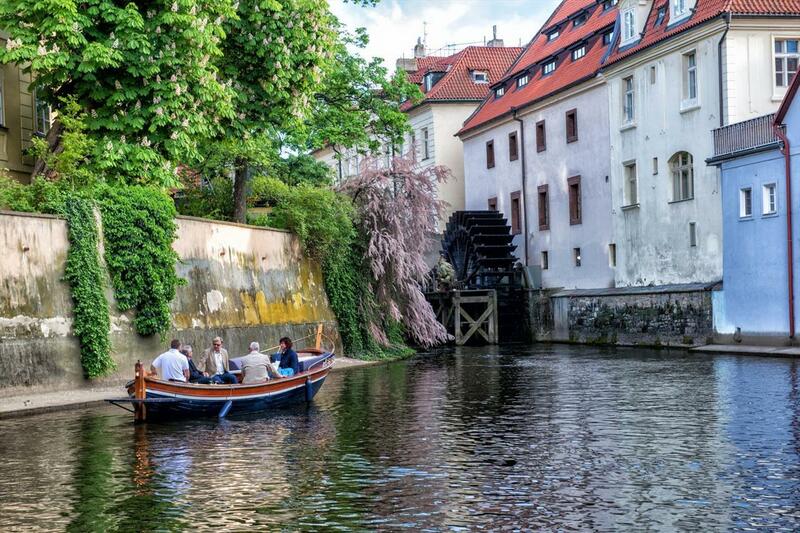 The boats are powered by an ecological hybrid motor and their operation is therefore quiet and not disruptive for the city. 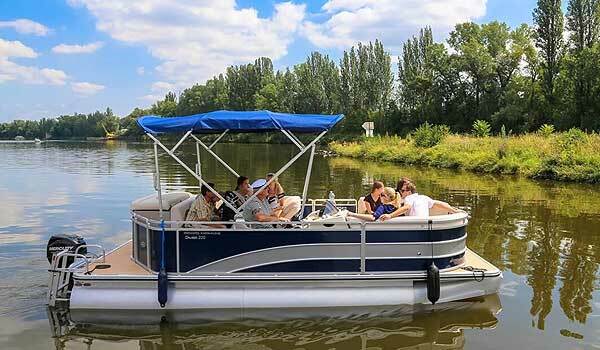 The boats can be rented for small groups. 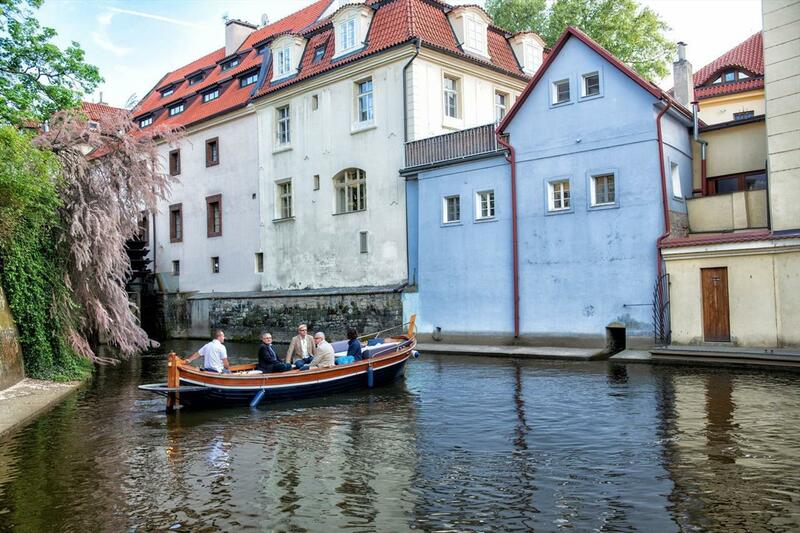 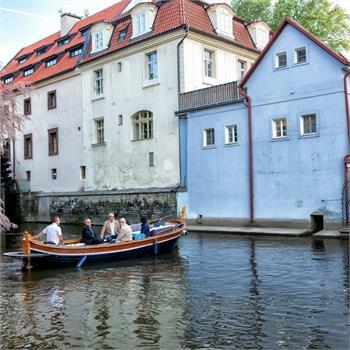 The sightseeing cruises depart from the dock in Kampa.